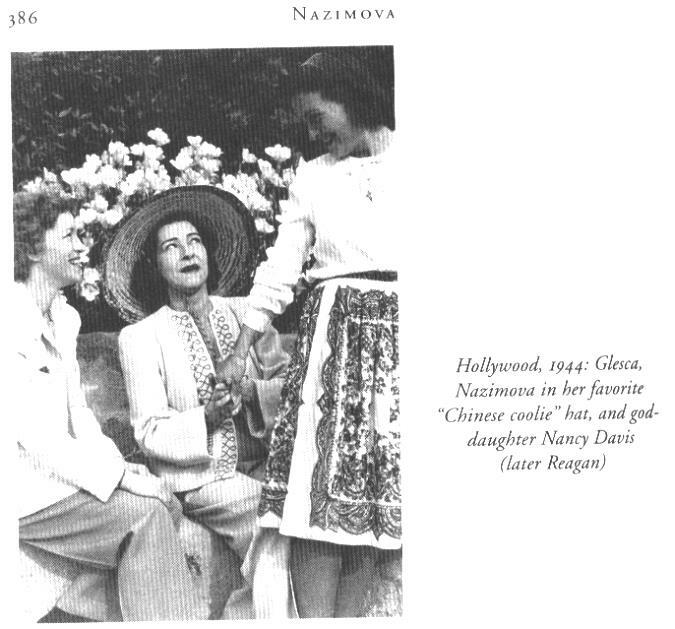 That’s Alla Nazimova, age 65, in the center, her long time companion Glesca Marshall to the left and Nazimova’s goddaughter Nancy Davis, age 23, future first lady of the United States, standing at right. This was probably taken in Los Angeles, maybe even on the grounds of the Garden of Allah, about a year before Nazimova died. what a joy to have been blessed to know Emily and Glesca! what a joy to have know Emily and Glesca!